36 years after their market launch, the familiar and successful cult wheels are still being constantly developed. The classic R10 Turbo has now been given a new look and is available with a high-quality fully polished surface and no logo. Thus a contemporary version of the cult is being continued into the third millennium. 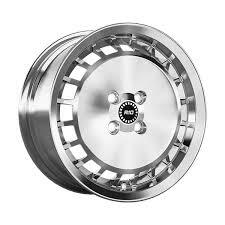 The R10 Turbo polished is available in size 7.0×15″. Ronal have taken a great design and made it better for a modern era.